As the book industry focuses on reaching web-enabled readers, there’s an increasing need for technologies, like apps and APIs, that can be built quickly and altered often. This is why last month, a week before BookExpo America, New York played host to a significant publishing event: the Publishing Hackathon! A new BC startup hopes to help readers digitize their libraries and help publishers sell multiple formats of titles to a new breed of consumer. As a fan of cloud storage and user of ebooks and print formats, my interest was piqued. How do you like to browse? Browse the internet, that is. So many of us simply use whichever browser came pre-installed on our computers—and if you’re using a desktop PC, chances are that browser is Microsoft’s Internet Explorer. If you click on a big blue ‘e’ to get to the internet from your computer, then you can count yourself among the Internet Explorer users across the country. Thank Collins, in conjunction with The Other Media, for bringing us Atlas by Collins, a continually updated app that allows iPhone and iPad users to discover their surrounding world—near and far—through three-dimensional colour-coded (and pretty!) maps. Last week, Google announced a new app called Field Trip for U.S. Android phones. While this isn’t an app specifically about books, it’s relevant and worth keeping an eye on because there’s room for collaboration and it can serve as inspiration. Having had the opportunity in the last year to help write and edit the EPUB 3 specification, I can commiserate with people who find the process of putting a publication together a little daunting. It can be a challenge to pull all the basic requirements together and verify whether you’ve met them all. Fortunately, there are tools that can help make sure that your coding is correct and that your book will open and work in reading systems. Not surprisingly, the IDPF maintains a free validator called EpubCheck for exactly this purpose. The tool hasn’t always been the simplest for lay people to use, however; it has a bit of a reputation of being built by geeks for geeks. If that’s been your perception, don’t fret because help is on the way! Custom content collections. Imagine the possibilities. Mark Scott was kind enough provide us a demonstration of what BookRiff is and how it works. 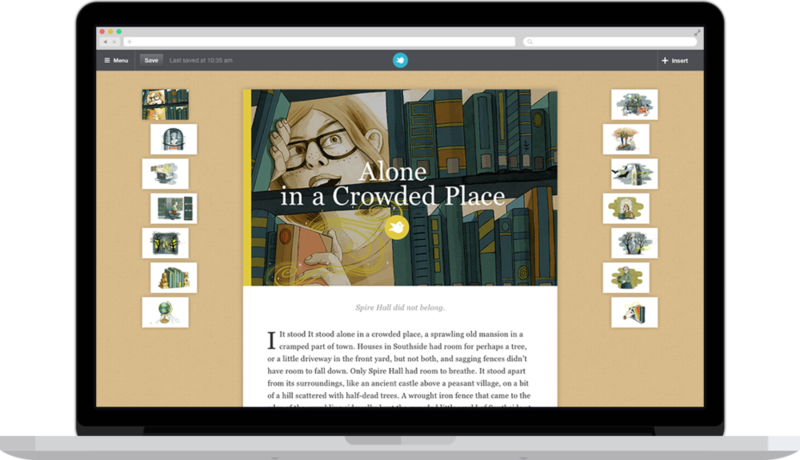 He explained the basic premise of BookRiff, its interface, its vision, and its potential.